Manhattan Nannies Available through ABC Nanny Source! Call(212)755-0080 Today! "What impressed me the most about finding a nanny with ABC Nanny Source was the level of detail and organization in which such confidential information was presented. When we started our nanny search, I received an extensive profile for each of the Manhattan Nannies before the interview. Once each nanny arrived at my door, I was fully relaxed because I felt I already knew the person in front of me ~ that is how detailed these profiles were! The process was made very easy for our family with this nanny agency and within a matter of days, I hired the perfect nanny for our children!" Becca is one of ABC's Manhattan Nannies! 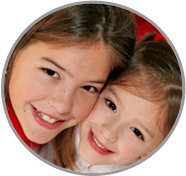 "It is my great pleasure to recommend Becca to your family as a nanny. Becca is bright, reliable, and affectionate. She is also well versed in child development, both due to her university studies and a natural affinity towards children. She relates to our children in such a delightful way, turning practically everything into a fun game as children do learn through play! Ms. Becca knows how to structure time well, but is also flexible. She is as comfortable helping our children through a preschool workbook and now homework as she is creating art projects out of sticks and leaves and growing butterflies (my son's favorite). Ms. Becca is warm and approachable. My children oriented to her quickly. She is also competent, responsible, creative and fun!!! She helped with feedings, diapering and general childcare. She easily transitioned my toddler onto the potty and engaged our three year old in fun and imaginative play activities. There was no problem keeping the television off. Ms. Becca played music, sang songs and entertained with play. We feel fortunate to have had Ms. Becca in our home. We are convinced that our children owe much of their positive development to her presence. Her approach to caring for Joselyn and Joshua complements our parenting well, as she respects our personal philosophies while being confident enough to independently make day-to-day decisions regarding our children. Ms. Becca is so loved by my children that we cannot have a family event without having Ms. Becca there. She is part of our family. We would highly recommend Ms. Becca to a family that is looking for a childcare provider that is caring, imaginative, responsible, hardworking, loving and yet respectful of our house rules on such things as nutrition, television time and discipline. She is well regarded as an exceptional experienced nanny who cares about children and families! We are glad to have had her in our life and would not hesitate contacting her for any future childcare needs. In closing, based on our experience working with her, my husband and I can recommend Becca to be one of your Manhattan Nannies without reservation." "Becca has worked with my family for years. She has worked with and cared for all three of my children since starting their enrollment. My children are both former students of Becca’s. During their time in her classroom, Becca was responsible, enthusiastic and loving. She understood my children's needs and worked within their individual boundaries. She was a disciplinarian with her own set of morals and values; however she left room for flexibility based on my wishes and expectations. My children adored Becca so much that I asked her to supervise them occasionally on weekends when I had to run errands or during evenings when I had to stay late for work. She consistently provided my children with activities that were developmentally appropriate and fun. If the weather permitted, Becca would take my children on field trips or visit the park, a museum or toy store. My children continuously reflect upon experiences that they have shared with Becca. Becca has also cared for my youngest child, Jusir (now age 2), since he was born. She has helped me with diapering, feedings, washings, resting periods, and doctor visitations/appointments. Becca has given me several suggestions regarding Jusir's overall development. For instance, she has helped me implement a schedule for Jusir at home to reinforce what Jusir learned in school. Moreover, Becca encouraged me to plan play dates with some of Jusir's fellow classmates to enhance his social-emotional development. Becca is a blessing and a pleasure to work with. She takes her job seriously and is a true professional; you will be pleased to have her on board as one of your Manhattan Nannies." "Becca cared for my child. She is a great teacher and person. She is the first choice for all my friends and family. I recommend her to everyone I know with a child. She provides children with the knowledge they need to grow. She taught my son shapes, colors and numbers and she is the best at story telling time. I highly recommend her to any family and wish her well in any direction she decides to take." "This serves to certify that I am acquainted with Becca in a professional capacity, where she is currently employed as Head Teacher. Becca is well known for her dedication, commitment, and professionalism with respect to her leadership functions in the attainment of set Program objectives. Her adherence to the Principles of the Performance Standards ensures that competency and excellent goal attainments are always evident. In addition, her professional advice in educational matters is constantly sought and respected by her colleagues. I therefore take pleasure in recommending her for a position as a Nanny with a family and your agency as one of ABC's Manhattan Nannies." "I highly recommend Becca to your organization. I worked closely with Becca at Brooklyn Child and Family Services Inc. In her capacity as head teacher, we worked intensely together providing a nurturing and structured environment to help each student function at their highest capacity. It was an absolute honor working with someone of Becca’s caliber, integrity and intelligence. Given her compassion, tolerance, creativity, sense of humor and understanding nature, I found it extremely motivating working with Becca. Her ability to lead is evident in her professional mannerism and her ability to be a strong team player. Becca often extends herself beyond the classroom to share her knowledge and experience with co-workers and the families she service. She consistently demonstrated the ability to constructively handle crisis in a calm and professional manner. Becca’s additional strength at the workplace was her commitment to all of her students and their families. She also was extremely supportive of our students' self-determination and was consistently respectful of their accomplishments. She was flexible, caring and consistently adhered to the mission statement. Needless to say, it is without reservation that I recommend Becca for a Nanny position. She will be an asset and a breath of fresh air to any family."